We’re excited to present the first single and accompanying music video from Gila Man, the new album by American instrumental soundscaper Todd Tobias. The breezily meditative ‘Pollen Path’ shimmers with acoustic fingerpicking and Chloë March’s celestial voice. Along with it’s accompanying music video by Hidden Shoal’s Cam Merton it provides the perfect intro to Gila Man‘s psychedelic sci-fi western landscape. ‘Pollen Path’ is available as a free download from Todd Tobias’s Bandcamp as well as streaming on SoundCloud. Head to YouTube to watch the accompanying music video. 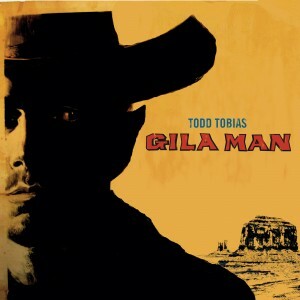 Gila Man is available for CD pre-order via Tiny Room Records (Europe/UK/Australia) and via Todd Tobias (USA). More on Todd Tobias here.